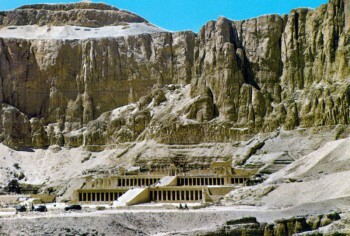 Hatshepsut’s chancellor, royal architect Senenmut oversaw construction. 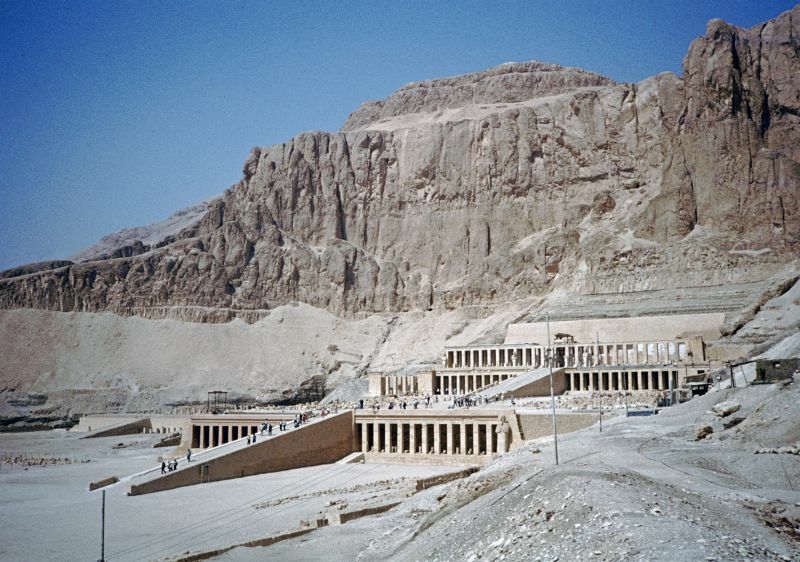 Although the adjacent, earlier mortuary temple of Mentuhotep was used as a model, the two structures are nevertheless significantly different in many ways. 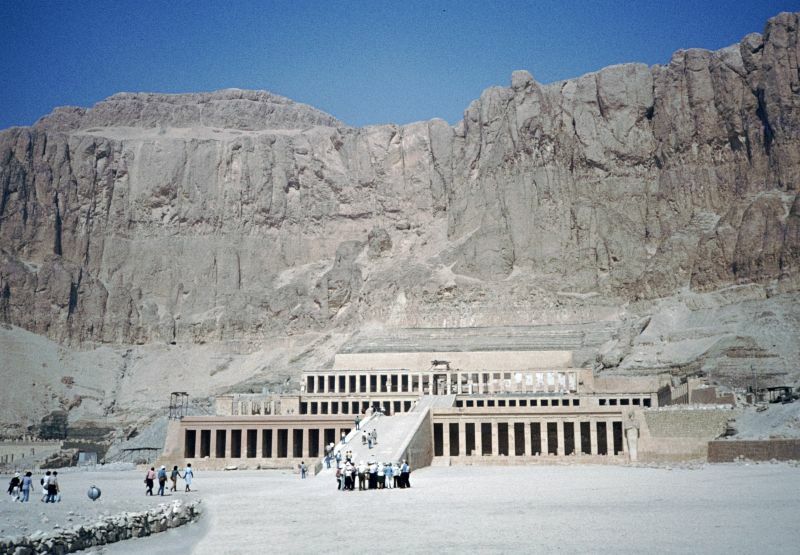 Hatshepsut’s temple employs a lengthy, colonnaded terrace that deviates from the centralised structure of Mentuhotep’s model – an anomaly that may be caused by the decentralized location of her burial chamber. There are three layered terraces reaching 97 feet tall. 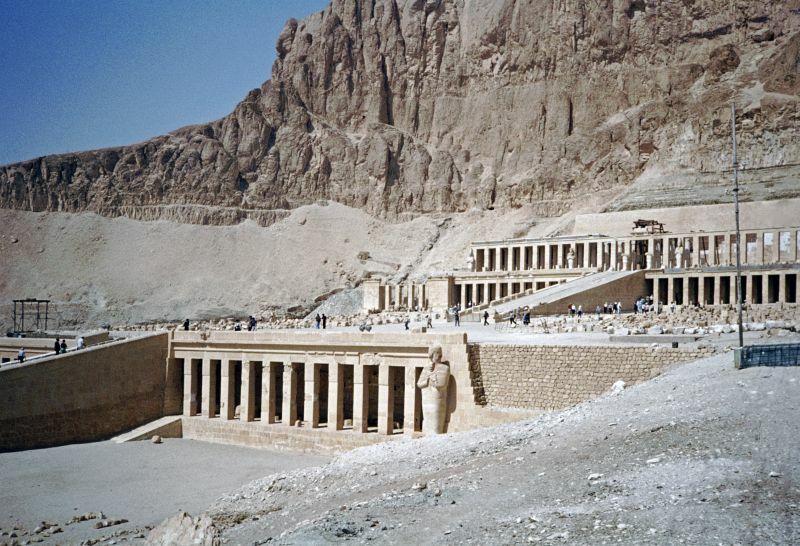 Each story is articulated by a double colonnade of square piers, with the exception of the northwest corner of the central terrace, which employs Proto Doric columns to house the chapel. 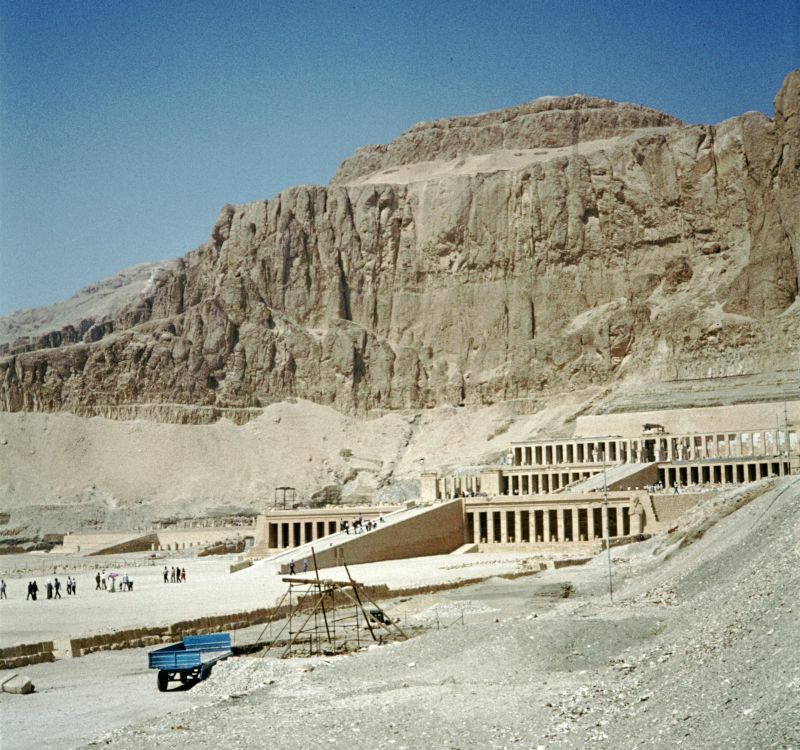 These terraces are connected by long ramps which were once surrounded by gardens with foreign plants including frankincense and myrrh trees. 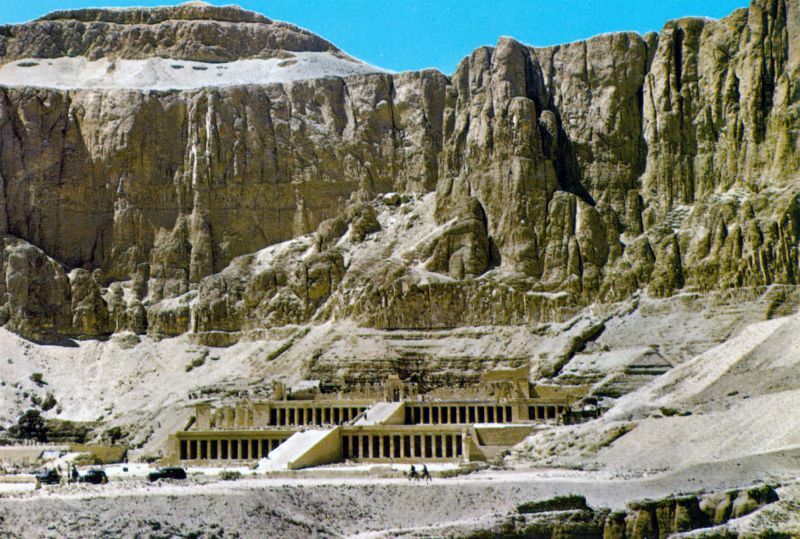 The layering of Hatshepsut’s temple corresponds with the classical Theban form, employing pylons, courts, hypostyle hall, sun court, chapel and sanctuary. 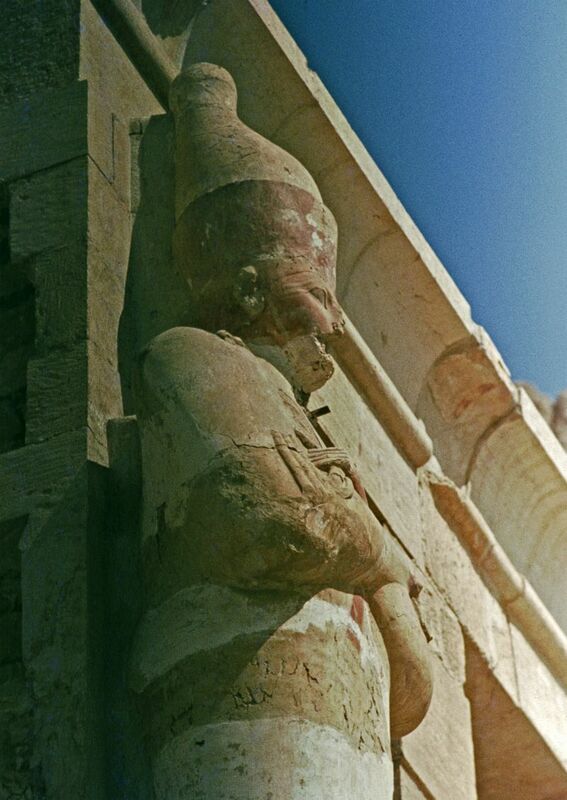 The relief sculpture within Hatshepsut’s temple recites the tale of the divine birth of a female pharaoh – the first of its kind. 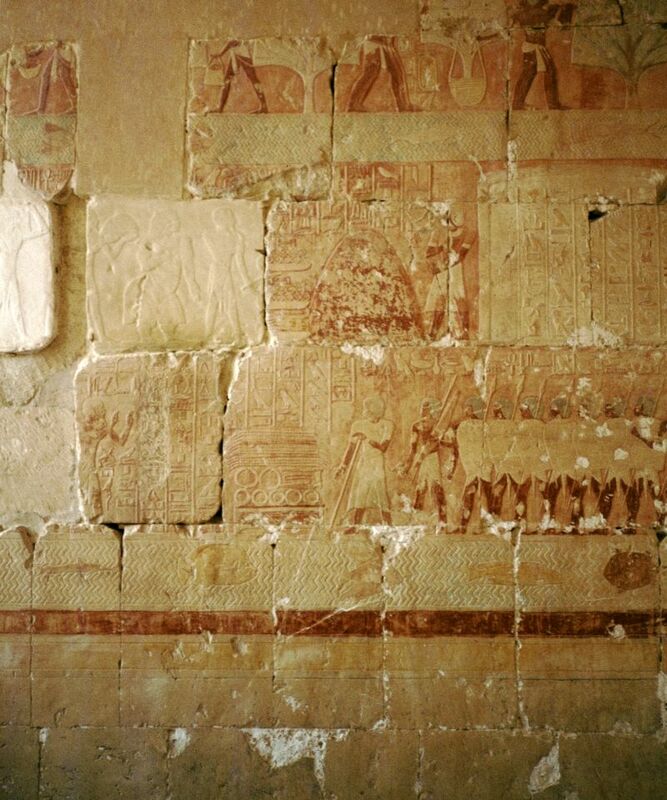 The text and pictorial cycle also tell of an expedition to the Land of Punt, an exotic country on the Red Sea coast. 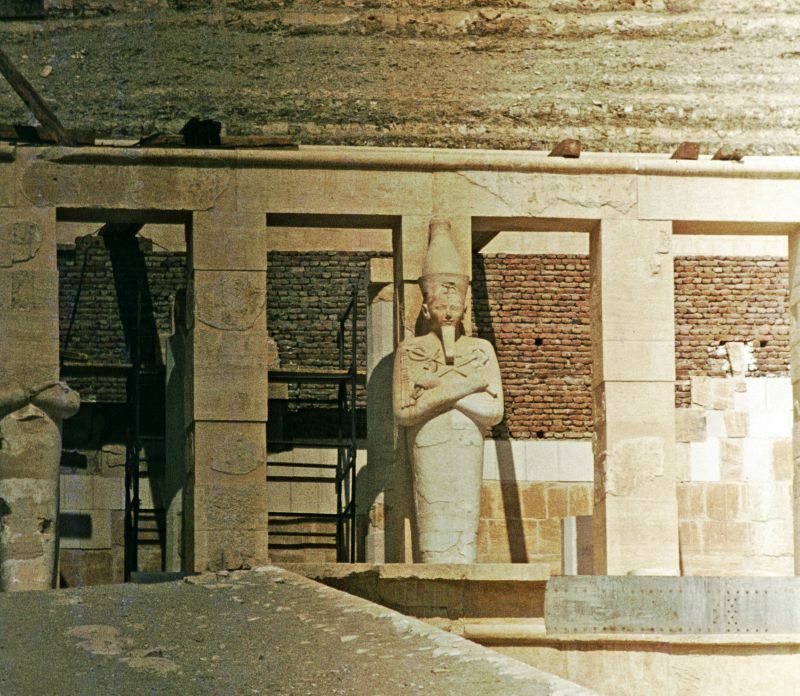 While the statues and ornamentation have since been stolen or destroyed, the temple once was home to two statues of Osiris, a sphinx avenue as well as many sculptures of the Queen in different attitudes – standing, sitting, or kneeling. 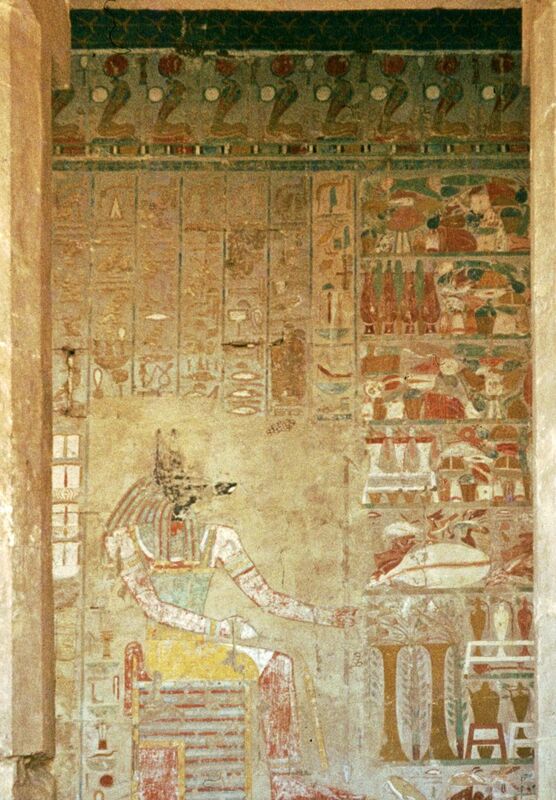 Many of these portraits were destroyed at the order of her stepson Thutmose III after her death. 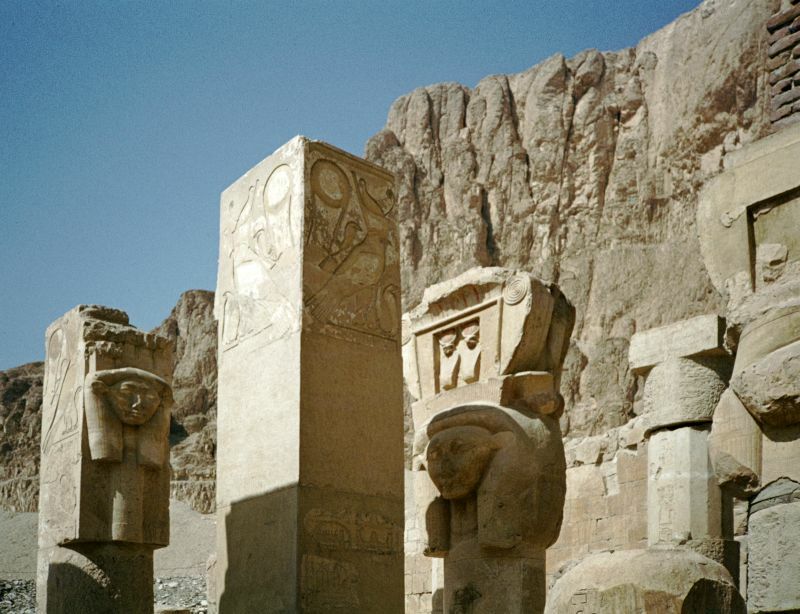 The main and axis of the temple is set to an azimuth of about 116½° and is aligned to the winter solstice sunrise, which in our modern era occurs around the 21st or 22 December each year. 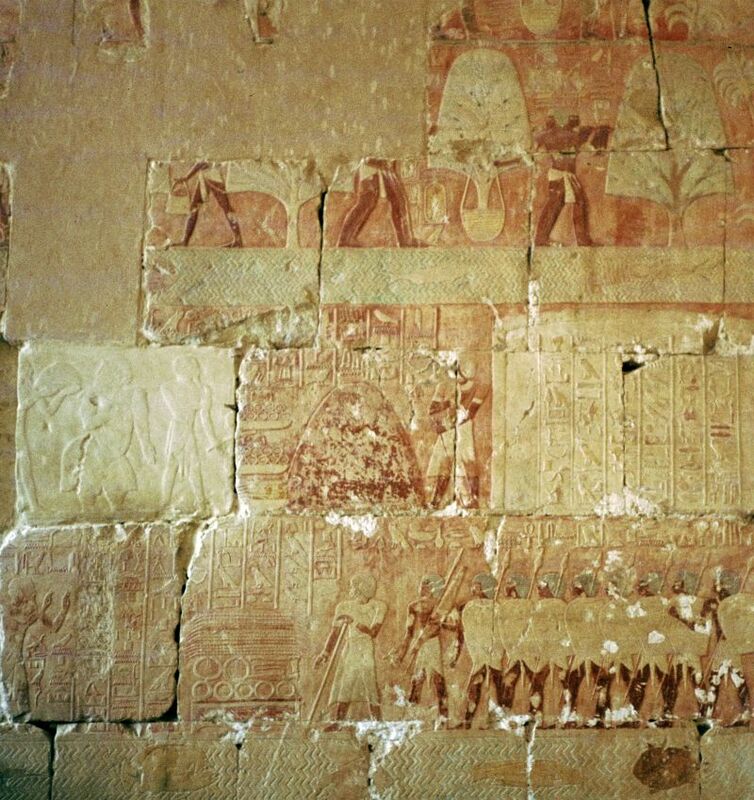 The sunlight penetrates through to the rear wall of the chapel, before moving to the right to highlight one of the Osiris statutes that stand on either side of the doorway to the 2nd chamber. 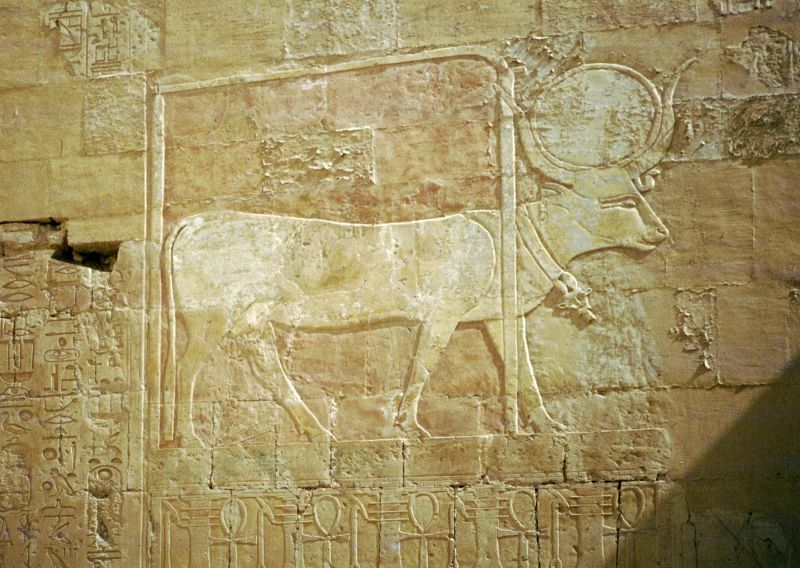 A further subtlety to this main alignment is created by a light-box, which shows a block of sunlight that slowly moves from the central axis of the temple to first illuminate the god Amen-Ra to then shining on the kneeling figure of Thutmose III before finally illuminating the Nile god Hapi. Additionally, because of the heightened angle of the sun, around 41 days on either side of the solstice, sunlight is able to penetrate via a secondary light-box through to the innermost chamber. 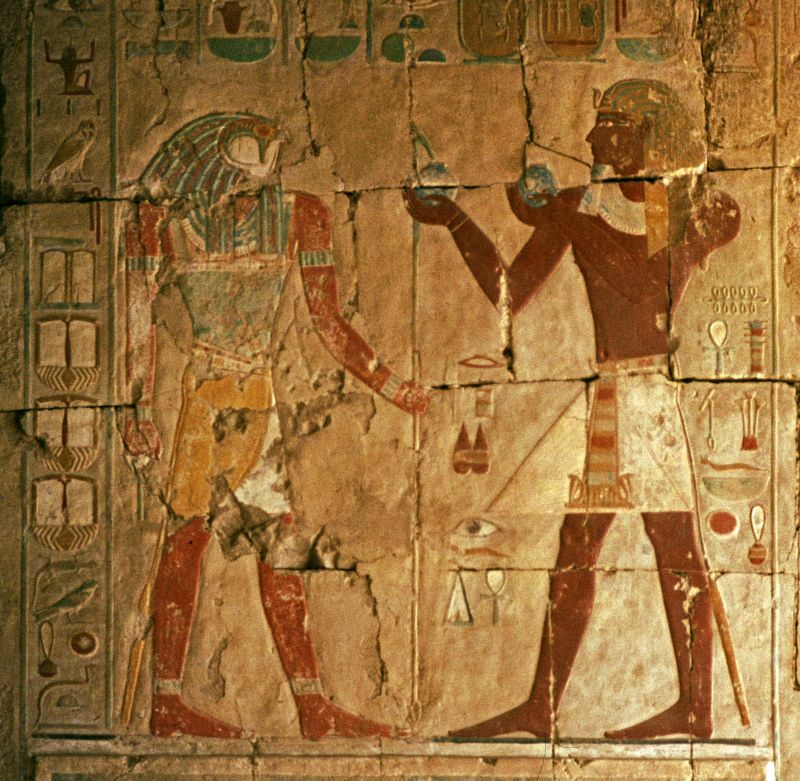 This inner-most chapel was renewed and expanded in the Ptolemaic era and has cult references to Imhotep the builder of Djoser’s Step Pyramid and Amenhotep son of Hapu – the overseer of the works of Amenhotep III.